Schematic, also called circuit diagram, is to show how electronic components are connected together. It acts like a map providing guidance on function, assembly and technical service. It's a language used by engineers to design and build circuit. Therefore it's important to learn to read a schematic. 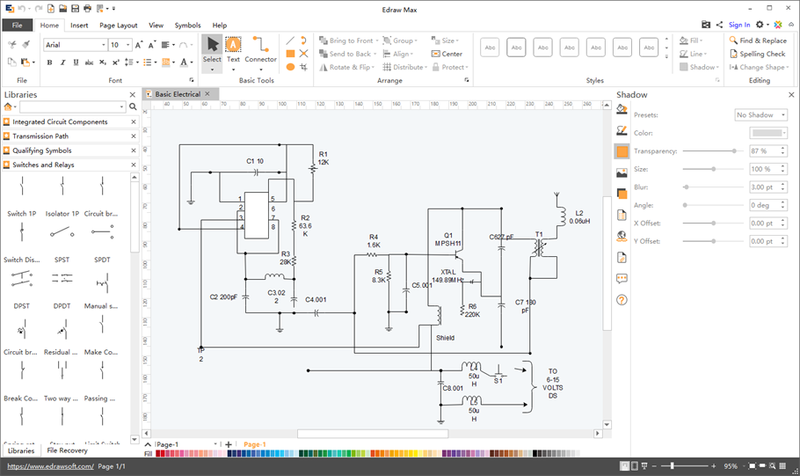 This article is going to show you how to read a schematic. 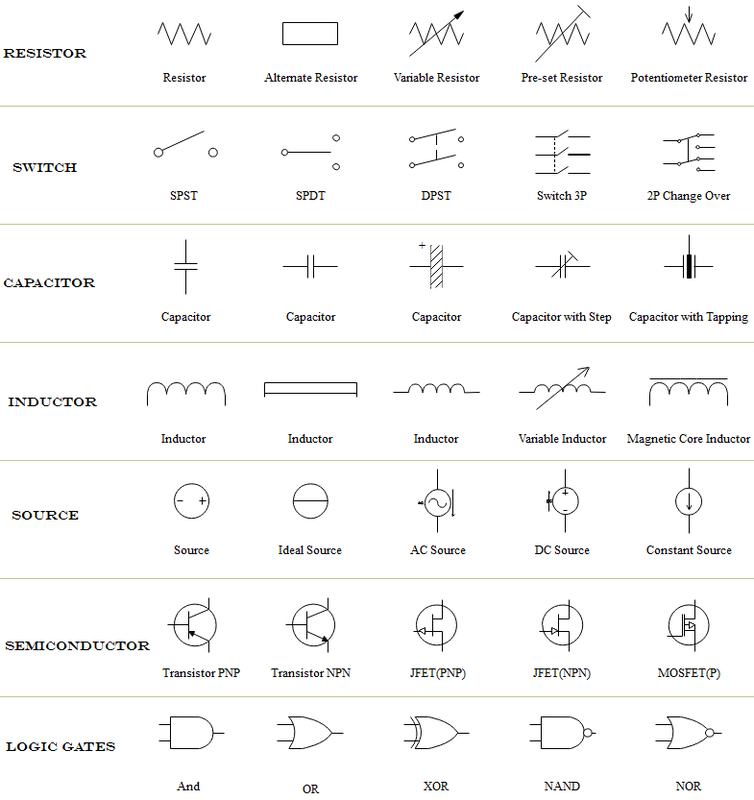 These symbols in the diagram are very often used in a schematic. Keeping them in your mind would help a lot to read a schematic. Voltage nodes are single-terminal components. By connecting component's terminals, distribution of voltage can be achieved. These are a special application of net names. All terminals connected to a like-named voltage node are connected together. Sometimes when the schematic is really complicated, you can assign special symbols to node voltages. You can also get devices connected to these voltage nodes. Symbols with an arrow pointing up represent positive voltage, and ground nodes usually have one to three flat lines or a triangle. Some extensive schematics will be segmented into several functional blocks such as power input, voltage adjusting, controller and connectors. Try to identify every block in the schematics. Some really good schematics are designed with input devices on the left side and outputs on the right. So you can follow the flow of schematics from left to the right. Joints or junctions where wires or components are electrically connected to each other are represented by a "blob". Lines are crossing each other with no blob, which means they are not connected to each other. It is unnecessary to show blobs if individual components are connected.